For some time I have been hearing some good things about Bing and its prediction engine, its been said that it's very good at predicting the outcome of certain events such as the American Idol, The Voice, Dancing with the stars, American Political elections, and the 2014 World Cup. The prediction accuracy has being said to be in the high 80% percentile which is rather commendable. At the start of the 2018 FIFA world cup, i decided to follow the predictions offered to see if one could make a bit of profit following Bing Predictions and the results were quite astonishing. So much so that I generated a twelve fold profit. The Bing Predicts algorithm managed to correctly predict the outcome of 31 out of the 48 matches in the group stages of the world. Which resulted in a profit of £125.22 from an initial £10 bet. It was so good that all that was required was the initial bankroll of £10. However it was less efficient during the second round games and had an accuracy of 37.5%, rightly predicting the outcome of 3 of the 8 matches played (however it managed to get 5 of the progressing teams right). The second round ended in a loss of £26.2. 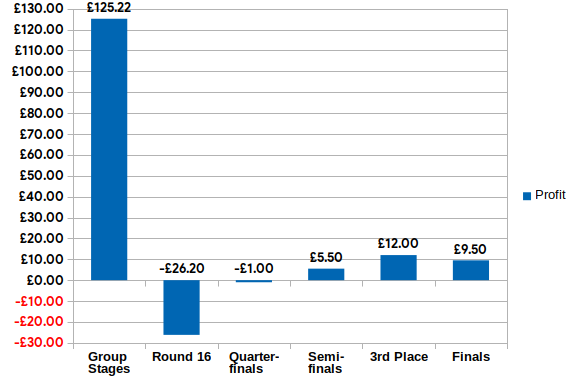 The Quater-finals was that much better for the Bing Predicts as it suffered another loss of £1. It did managed to get 3 out of 4 qualifying teams right but only 2 out of 4 outcomes right. It managed to net a small profit of £5.5 by rightly predicting the outcome of the France and Belgium match. It also got the results of the finals and 3rd place match right and ended the round with a £21.5 profit. I have got to admit that I'm thoroughly impressed by the outcome, turning a profit of £125 from £10 is really impressive considering my own run of £95 from £45. 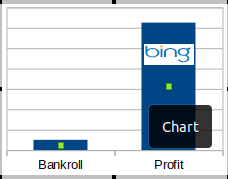 While I barely managed to double my bank, Bing Predicts had a 1250% ROI. Going forward I would definitely be paying attention to Bing Predicts for insight on potential bets.